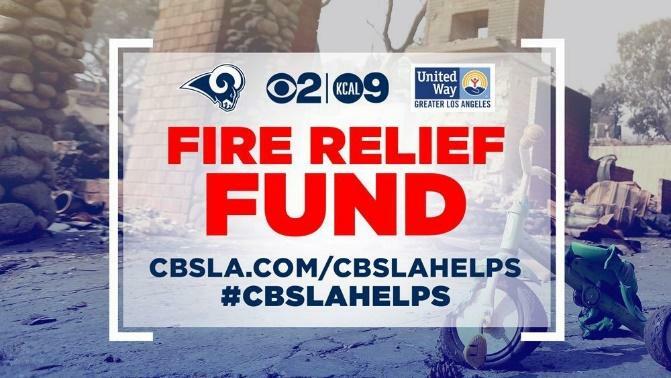 Los Angeles, CA (November 16, 2018) — On Wednesday the Fire Relief Fund multi-platform fundraising event, hosted by the United Way of Greater Los Angeles, the Los Angeles Rams, CBS 2 and KCAL 9, raised more than $1,173,905 for United Way’s Southern California Disaster Relief Fund. The Wednesday fundraiser will serve both immediate and critical long-term needs of economically vulnerable neighbors affected by recent fires. While phone lines are closed, funds are continuing to come in as individuals text 2018fires to 41444, log in to unitedwayla.org/2018fires and send in checks. Corporate donors and individuals made pledges to the fund over the phone, on websites, social media and via text. Top pledges include: IBM, $125,000; JP Morgan Chase & Co., $125,000; Edison International, $100,000; Annenberg Foundation, $50,000; Dole Food Company, Inc., $50,000; 21st Century Fox, $25,000; Charlize Theron, $25,000; The Sikand Foundation, $15,000 and Pauley Perrette, $10,000. Anonymous pledges were also given in the amount of $175,000. Another generous pledge of $50,000 by City National Bank was received Thursday after the fundraiser ended. “The United Way of Ventura County appreciates all the hard work and talent that went into this event to support those impacted in Los Angeles and Ventura Counties by these devastating fires,” said Eric Harrison, CEO, United Way of Ventura County. Published: Aug. 6, 2018 at 07:24 p.m. The 2018 season is still 31 days away, but it’s already shaping up to be a historic one. 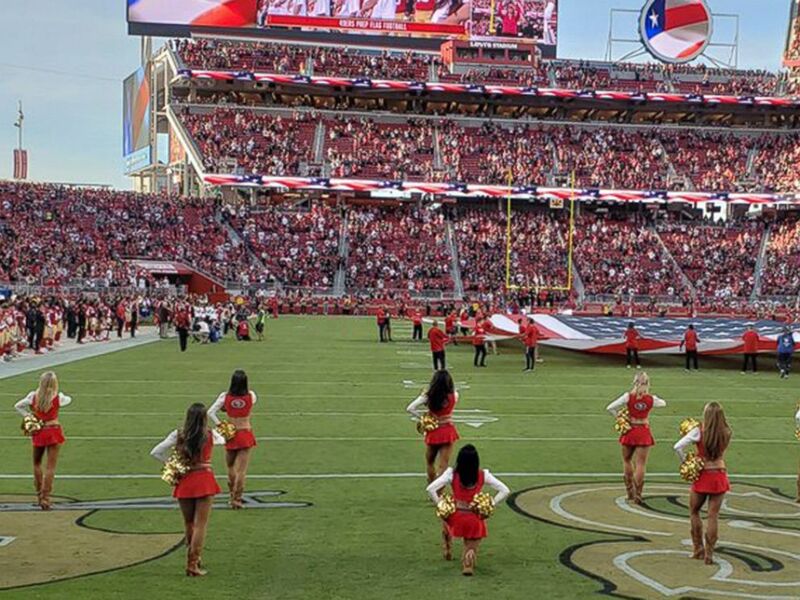 For the first time in NFL history, there will be male cheerleaders on the sidelines. Napoleon Jinnies and Quinton Peron will be cheering on the Rams cheerleading squad. The Saints will have a male cheerleader on their cheer team, too. Jesse Hernandez, a 25-year-old male dancer who made the Saintsations, said he was inspired by Peron and Jinnies. Cheerleading has been a part of the NFL since 1954 when the Baltimore Colts added a cheer squad to their marching band. Today, 26 of the 32 teams in the NFL have official cheerleading squads. 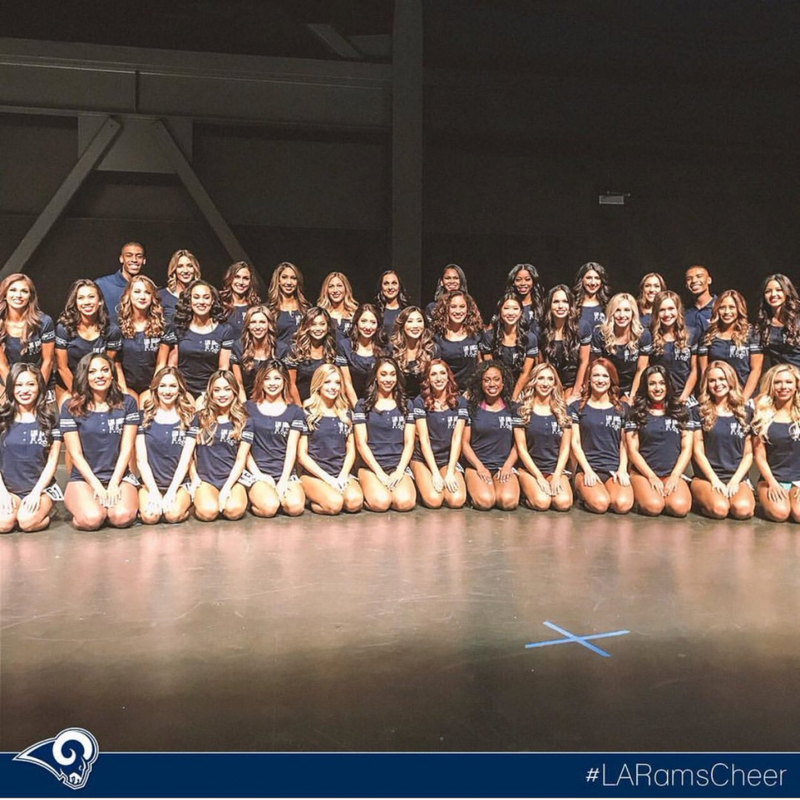 Mount Laurel, New Jersey (August 9, 2018)– NFL Alumni (NFLA) today announced a partnership with the National Football Cheerleaders Alumni Organization (NFCAO), which is a group of 14,000 former NFL team cheerleaders around the country. This partnership will increase membership, sponsorship and brand awareness for the NFCAO and overall benefit both organizations. The NFL cheerleaders group was formed in 2009 while NFL Alumni was organized in 1967. NFL Alumni looks forward to creating a synergistic team with the National Football Cheerleaders Alumni Organization. NFL Alumni was founded in 1967 and is the oldest and most recognizable national organization of retired professional athletes. NFL Alumni consists of former NFL players, coaches, executives, spouses, cheerleaders, and associate members. NFL Alumni’s mission “Caring for our Own” is to serve, assist and inform its members and their families. NFL Alumni offers a wide array of medical, financial and business programs to help members lead healthy, productive and successful lives. NFL Alumni also promotes the post-playing careers of its members and it also contributes to local community initiatives under its “Caring for Kids” programs. Pro Football Legends is the commercial marketing name and logo of NFL Alumni. The National Football Cheerleaders Alumni Organization (NFCAO) was founded in 2009 by Terri Crane-Lamb, President, Washington Redskins Cheerleaders Alumni and Mickey Crawford-Carnegie, Director, Atlanta Falcons Cheerleaders Alumni. The NFCAO is a non-profit 501(c)(7) organization comprised of former NFL Cheerleaders Alumni chapters and is the only official alumni organization for retired NFL Cheerleaders. The NFCAO invites all former NFL cheerleaders to join their NFCAO cheerleaders alumni Chapter to help support local and national charity efforts and participate in social events. NFL Alumni Cheerleaders can become an official member and part of the NFCAO database by joining their team’s cheerleader Chapter. For more information, please visit: www.nationalfootballcheerleadersalumni.com. Michael Fischer, our European Correspondent, has sent us some news and photos regarding the state of German Cheerleading. This season, the Galactic Dancers (headed by Tamara Kurti) have gotten support from former U.S. pro cheerleader and model Christine Lynn C. from Honolulu. Christine studied Fine Arts at the California State University at Los Angeles and has lived in Chicago. She danced with the NBA Chicago Luvabulls Dancers and she was selected as Mrs Waikiki 2016 and 2017. Christine lives with her family in Heidelberg Germany, near the U.S Army Base and she drives to the Galactic Dancers training session from Heidelberg to Frankfurt Main, a long drive, every week. This month Christine and the Galactic girls visited Düsseldorf for cheerleader performances on a big party ship along the Rhein River. These performances were the highlight of the NFL Europa Fans memorial weekend – Battle of Cologne XV. Tickets were sold out some months ago and some American Football Fans disguised themselves as pirates. The ship sailed from Düsseldorf to Cologne and back, 9 hours of non-stop partying on deck. In the middle of the crowd the cheerleaders. During the breaks between performances, the Galactic Dancers took some selfies and posed with some of the fans for a group shot. As a general rule, UltimateCheerleaders.com does not publish negative or controversial articles on professional cheerleading. We know the lengths that these teams and their directors have gone to create a positive image and to become a source of pride and goodwill for the billion dollar organizations that they represent. Recently, however, professional cheerleading has come under some scrutiny for some unflattering and negative publicity that threatens the existence of the endeavor, if some pundits get their wish. In light of these recent events, Lara Travis, a former professional cheerleader for the Tennessee Titans and guest commentator for web site Outkick The Coverage, posted a thoughtful treatise on the topic, entitled In Defense of Cheerleaders and Cheerleading. I applaud Ms. Travis for sharing with us her perspective and personal experience of being a former professional cheerleader. To read the full article, please click here. And check out the comments section in the article for some additional perspectives from some former professional cheerleaders. On a personal note, in my experiences covering professional cheerleading, I am constantly in awe at all the impressive women trying out for these positions and the amazing directors and their assistants, who make professional cheerleading a positive experience for all sports fans.